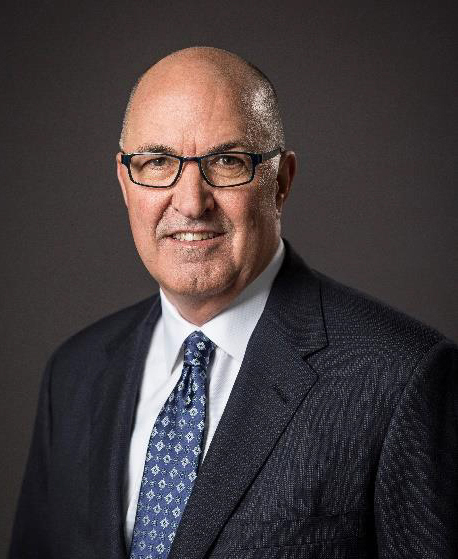 ICUEE-The Demo Expo recently announced Rick Johnson, CEO of Charles Machine Works, has been named 2019 show chair. He leads the exhibition’s management committee, a volunteer group of utility construction industry executives responsible for overall show planning. ICUEE, the International Construction and Utility Equipment Exposition, will take place October 1-3, 2019 at the Kentucky Exposition Center in Louisville, Ky. The biennial show is known as The Demo Expo for its extensive equipment test drives and interactive product demonstrations. “AEM welcomes the knowledge, experience and active participation of Rick and all the management committee members. We are fortunate to have such a strong group of leaders providing strategic guidance as we also develop the longer-term vision for ICUEE into the next decade to meet industry needs,” said ICUEE Show Director John Rozum. “I’m very pleased to accept this role and look forward to helping plan an outstanding ICUEE; I know that every member on the management committee is dedicated to the continued growth and success of the show to best serve participants and the industry,” said Johnson. Rick Johnson joined Charles Machine Works in 1987, holding positions with increasing responsibilities, including chief financial officer, chief information officer and chief operating officer. He was named chief executive officer in 2015. Johnson has been active on the ICUEE management committee and served as 2017 vice chair. He also serves on board-level committees of show owner and producer Association of Equipment Manufacturers (AEM) and as a director on AEM’s CE Sector Board. Serving as vice chair of the ICUEE 2019 Management Committee is Dave Hughes, vice president, global sales for McElroy Manufacturing Inc.
• Bryan Blankenship, Director Vacuum Excavation, Vactor Manufacturing Inc.
• Chris Brahler, President and CEO, TT Technologies Inc.
• Joe Caywood, Director Marketing & Product Management, Terex Corp.
• Dan Coley, President, Hi-Vac Corp.
• Mark Core, Executive Vice President & CMO, Vermeer Corp.
• Julie Fuller, Vice President/Officer, Engineering and Purchasing, Tadano Mantis Corp.
• Jim Glazer, President, Elliott Equipment Co.
• Dave Hughes, Vice President Global Sales, McElroy Manufacturing Inc.
• Thom Peebles, Vice President Marketing, JCB Inc.
• Mike Popovich, Vice President Sales & Marketing Excavators, Vacall/Gradall Industries Inc.
• Mark Wegel, Director Corporate Communications, Altec Industries Inc.
ICUEE is the leading event for utility professionals and construction contractors seeking comprehensive insights into the latest industry technologies, innovations and trends. Exhibit space sales have opened for the 2019 show, visit www.icuee.com in the Exhibit section for more details. ICUEE 2017 covered nearly 1.24 million net sq ft of exhibits of the latest utility and construction equipment, products and technologies from more than 1,000 exhibitors, and attracted nearly 18,000 attendees from all facets of the utilities industry, including electric, sewer/water, gas and telecom/cable, from the United States and more than 50 other countries worldwide. For the latest ICUEE information, visit www.icuee.com. Click here for more ICUEE news.